The Litum RFID document management system saves effort and expense with improved document tracking, checkout, and organization. Our automated check-in/checkout process allows the appropriate staff member to easily pick up important documents and leave the archive room unassisted. 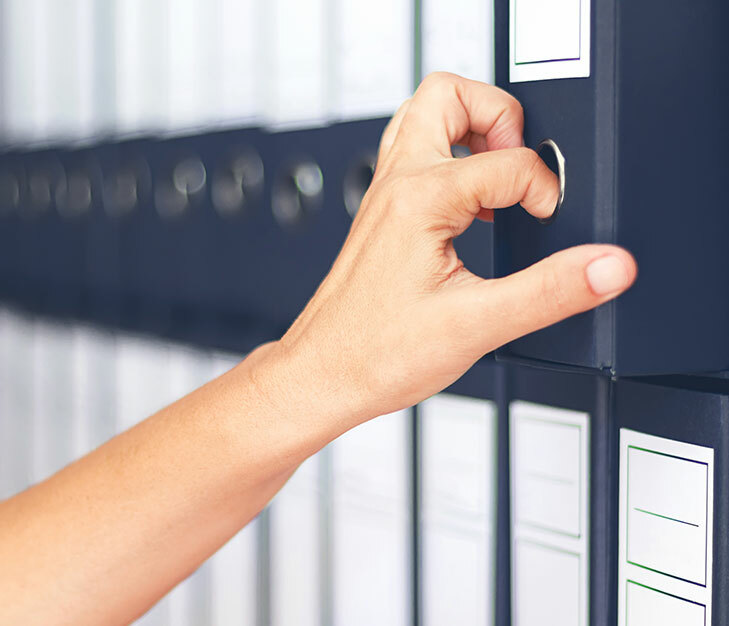 File managers can also quickly track down misplaced documents by using our RFID file tracking technology. We provide the necessary hardware, UHF RFID labels, and software to track and organize every file. We create unique RFID document labels that be affixed to folders and boxes. Each label is flat and unobtrusive, yet contains a coiled passive RFID antenna that pings off of fixed RFID readers and handheld scanners. The RFID file tracking system is useful for companies and organizations with large amounts of paper documentation. It's ideal for insurance and medical care providers, schools and universities, courthouses, police departments, accounting firms, and government offices. Many businesses keep an entire team of staff on the payroll just to manually organize documents and track their movements. Our document tracking technology allows companies to cut man hour costs, reduce staff size, and help employees find needed data more easily. With the Litum file tracking system, each physical document is assigned a digital record that has location and usage history stored on it. Whenever employees want to check out a file, they can find its location in the document room using our system or the handheld scanner. Keep a close eye on important files using an affixed RFID label that sends data to our Litum document tracking software. When authorized personnel check out files for review and take it to their offices, the system automatically tracks files as they are read by the fixed readers or gateways at entry points and other locations throughout a building. Track the document's movement going back years using our simple report creation software. Prevent unauthorized access to archival areas with gate readers that also check every employee's ID badge to ensure they have permission to enter. This efficient RFID file management system also prevents anyone from leaving the room without first checking out their documents. Create a geo-fence around the archive room that triggers an alert when a document is removed without being checked out. Any unauthorized workers who attempt to enter the room or check out classified documents also trigger an alert that is sent to security or the appropriate staff members. 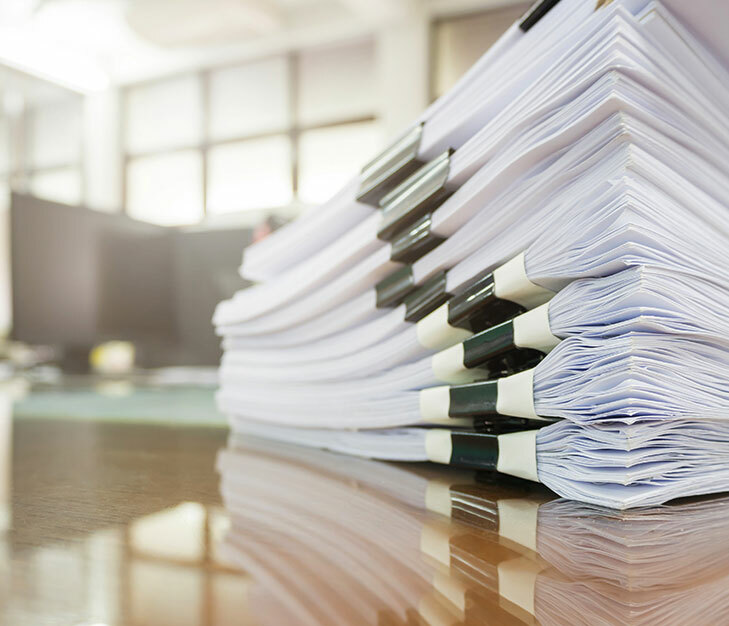 We've worked with many government institutions and large companies to create automated methods for managing their documents to reduce costs, speed up file identification and checkout, and keep classified information secure. Our RFID document management system is a comprehensive solution to all three issues and many other potential challenges associated with file tracking.